I grew up in a small town in Denmark, population 7,509. There was a handful of minority students at my school, all adopted with little knowledge of their old culture. I didn’t grow up in diversity, I didn’t grow up in poverty, I didn’t grow up in instability or transitional homes. I didn’t grow up in anger or uncertainty. I grew up surrounded by the love of my family and kids that looked just like me. I don’t know what it means to be a minority. I don’t know what it means to come from poverty. Or a broken home. I don’t know what it feels like to be in a classroom where no one looks like you or to be judged because of the way one speaks. I don’t know what it feels like to be homeless or angry at the world. I can pretend I do, but I don’t. But there are things I can understand. I can understand what it means to be the new kid. To not speak a language. To not have 2 parents. I can understand what it means to feel the like the world is against you and there is no one that cares. I can understand what it feels like to think that not a single person cares about you in the whole world and that you will always be alone. I cannot connect to my students using experiences we have not shared and I will not pretend that I can. Yet that doesn’t mean I cannot be a great teacher to them. That doesn’t mean we cannot forge a deep relationship. I can connect with my kids through listening. Through caring. I can connect through the love of a book ,a song, a class or a laugh. I can connect with my students by acknowledging that we are different and that I will never know what their lives are truly like but I will try. I can connect not through their background but what we create together. I can connect with them based on the now, while still acknowledging the before. Together we can try to understand, together we can make a new connection. I don’t know what it means to be them but that’s ok. I know what it means to be here, now, in our classroom. And that’s a start at least…. I am a passionate (female) 5th grade teacher in Wisconsin, USA, proud techy geek, and mass consumer of incredible books. Creator of the Global Read Aloud Project, Co-founder of EdCamp MadWI, and believer in all children. I have no awards or accolades except for the lightbulbs that go off in my students’ heads every day. First book “Passionate Learners – Giving Our Classroom Back to Our Students” will be released this April from Powerful Learning Press. Follow me on Twitter @PernilleRipp. Another thoughtful post! I am always touched in some way by what you say, often amazed by how similarly we think! I was particularly struck by this statement – “I cannot connect through their background but what we create together”. YES! Each year every teacher has the opportunity, no matter their shared past experiences, to create new relationships with students and to provide a safe and caring learning environment…that year in that room. You obviously strive passionately to achieve that! I love what you say about connecting with kids, especially by listening to them. I think it’s fantastic how you’ve reminded us about the power of relationship-building and the importance of empathy and understanding. We all come from different backgrounds but that does not mean we can’t all connect. Thanks for your post. I connect with my students through geography. I teach in the school I attended. I live in the same town they do. The truth is that is about the only thing we have in common. I’m not always sure that is enough, but in reality that is just a start. The relationships we develop throughout the years is what counts. 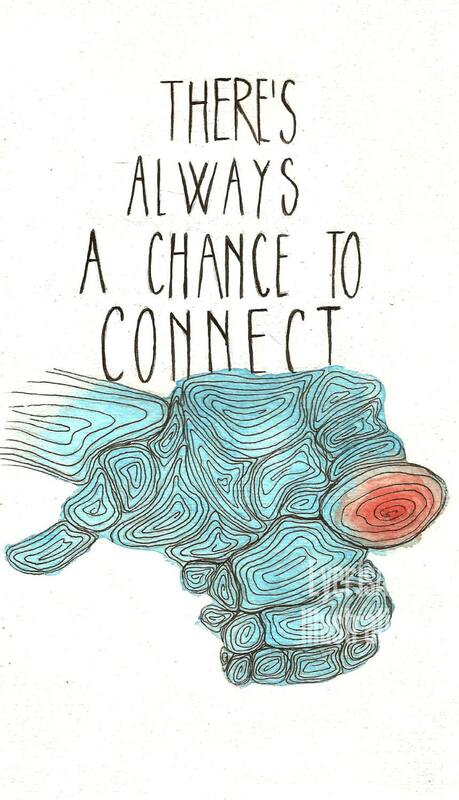 Your title says it all – there are always chances to connect. We don’t always see these chances and take advantage of them. One thing I will always look back on is my two years in a city and in a building that was a “minority-majority” school. I was the one who looked different and didn’t have their experiences. But there were things i could connect with. Music and sport were the easiest and so I came from that angle. I connected and it changed how I look at my students today – over 20 years later. Nice post and well written. Extremely insightful and meaningful to the teachers and students of diverse populations. These words from the reading struck a cord with me,”I can connect with them based on the now, while still acknowledging the before. Together we can try to understand, together we can make a new connection.”…they resonate with me and motivate me!